February 12, 2017 February 12, 2017 by Maja Todorovic, posted in Business in Rhyme, Read, write, lead!, Write, create, innovate! I often write how poetry is a life-savior. 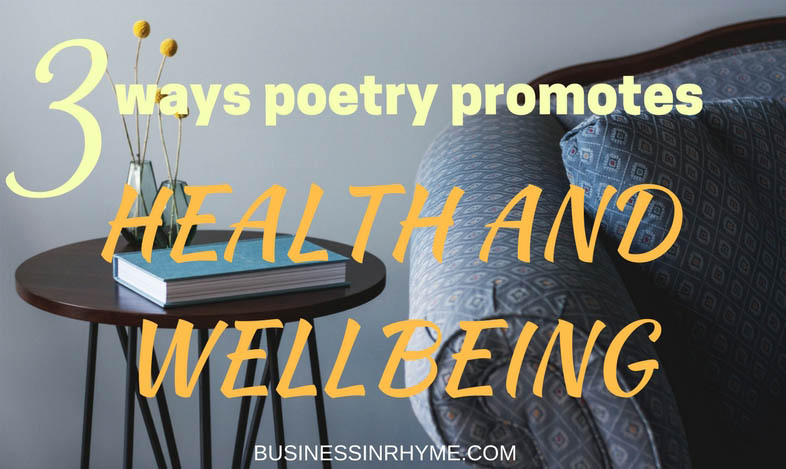 But in this particular post I want to dive even deeper in specific ways poetry can help you deal with every day stress and anxiety. For me, personally poetry is a space, a huge empty room I can fill with anything I want. I will put Chaos into fourteen lines And keep him there. And even those who turn their heads and ears from poetry will still now and then switch on their radio, bang their hands in the rhythm on the stirring wheal and sing along their favorite tune. Aren’t poetry, songs and lyrics very close cousins offering us that immediate relief we look for in everyday life? Another thing I have observed that poetry offers as a healing component is that many of us reach for literature in hope to find explanation for the things we cannot articulate, express or even understand ourselves. Poet knits a story in his poem ‘as it is’, yet it stays subjective and mono-observant. Still, there’s an inclination, that when we are sad, we are most comforted by sad poems and sad music. Often poetry comes with some sort of solidarity in times of solace where while you read your favorite authors somehow even subconsciously, you validate your own experiences as universal – which makes acceptance of particular situation much easier and less volatile. you can use poetry as a light and a laser. It shows up your true situation and it helps you cut through it. But also, on the other side of word-spectrum lies different possibility. And with every reading of a poem you are empowering yourself with additional hope and inspiration. We know this at the most fundamental level as with reading each line we bring forth our own meaning, analyses, forcing us to make new connections among images, events, people and situations. ‘What is’ can be easily transferred to ‘what if’ and there is your healing power. The poem always brings you in the now, in the present moment: that creative pause you steal for your self in the every day routine is an escape from dreadful, petty ordinary things and a gate to inner peace and stillness. Poetry is the celebration of life. Dark and bright moments – what ever they are, poetry is your companion. It can make you laugh, or even fall in love with yourself like Susana Thenon writes in ‘Nuptial Song’ (about being ‘happily married’ to yourself). Use poetry as a beautiful distraction in your life instead of indulging in junk food, tabloids and TV realities. That is your safe harbor in the tumultuous time of your every day situations. Following this post published few weeks ago, it occurred to me: there is always something we haven’t told yet. A story, an event or memory that we shy from for some reason, that we avoid thinking about, talking about. And I don’t mean talking to others, but to ourselves. That internal conversation (or lack of it), has a subtle impact on our day to day life governing our decisions and choices in ways we are not even aware of. Our subconsciousness is like a vast ocean where we can drown deep with our feelings or we can strive for the surface to enjoy the sun and blue sky. Each emotion and memory from the past has hidden opportunity for growth and healing. And these are the main reasons why people engage in writing memoirs. It’s a path of self-exploration, where time, the main ingredient offers different perspectives and lays a platform for us to embrace and accept our past. Not simply to remember but to celebrate each moment in life as these moments are the foundation for our future self. It can be painful and cathartic, but most importantly – freeing! In this interesting interview, Samantha M. White the author of Someone to Talk To: Finding Peace, Purpose, and Joy After Tragedy and Loss explains that in your memoir writing – the results can go beyond your initial intention. Writing my memoir transformed my life. Not only my day-to-day present, and my future, but even the past about which I had written! Transformation was not my goal. I wrote it because I had a story pent up inside me, pressing to be told – to share what had happened to me, and how I had found my way out of pain. I wanted to assure readers of the universality of suffering, and the reality of healing and finding new joy. I felt driven, and afraid that if I died before publishing the book, an important message wouldn’t be heard”. So today I want to propose a bit different writing exercise. Think of any event or situation in your life that you would like to understand better, to explore, analyze or that just needs to be ‘poured’ on your paper and write a poem about it. Tell your story using poetry. And you might ask, why just don”t write about it? I think that poetry goes beyond prose writing and it allows you more freedom to express your feelings in different ways. Often we can’t find the right plain, straightforward words to say something but it needs metaphoric guidance that offers us strengths to deeply dive into the ocean of our subconsciousness. Take your time and write your way through it. Narrative form of poetry and memoir complements each other to open the door of that internal conversation – you might be surprised what ‘s on the other side. I personally often use this technique to simply sort my feelings and make a sense of life. These confessional poems are often highly emotionally charged and there’s the beauty: being able to feel is for me a proof that I’m alive. Accept every emotion that comes your way, because that’s human – to be vulnerable and celebrate your flaws, mistakes and successes as you navigate through life – the best you can. This is a guest post, a courtesy of a fellow blogger and poet Jason J. Michael. This essay is a bit longer than usual posts on this blog, but I encourage you to read it through – a touching story on how poetry, particularly haiku has changed his life, literally. On September 3, 2000, when I was twenty-nine, my father died. He smoked himself to death acquiring, in order, blocked arteries, throat cancer, lung cancer, emphysema, and finally congestive heart failure, which in combination with the others claimed his life. His untimely death was fully expected by everyone around him, except for me. A jazz musician, he had quietly sold off his instruments to friends, had delusions of teaching sax quartets in our kitchen, gone to the drugstore in his briefs, and had visions of a mute, glowing boy and girl that accompanied him on errands. All of these I was aware of. None of them I took that seriously. I was living home with my parents temporarily, but consumed by my career goals. I was directing, acting, and composing for a local dinner theatre, I loved the job and it held my full focus. Besides, parents are immortal, right? I was with him in the hospital, holding his hand, when he passed. In fact, I had been the one to give permission to take him off the machines that were keeping his heart and lungs operational when my mother, in an unexpected wave of grief, refused the honor and responsibility herself, stating “I just can’t do it.” The decision by default fell to me and, sensing no recourse, I ordered him removed from the machines and held his hand till his heartbeat faded. From my point of view, I had just killed my father. The following year was a blur of work juxtaposed against a backdrop of depression and excessive sleep. One year to the day, on the anniversary of his death, September 3, 2001, I started working as a full-time music teacher at a Catholic boys’ school in Philadelphia. It was exactly the kind of job he would’ve wanted for me, and I felt pushed into it by his overshadowing presence. Everyone there was wonderful, but the pain of his loss coupled with the guilt I had felt over “pulling the plug” was consuming me, and combined with the isolation I felt from having moved away from my family for work, I sank further into depression and almost nightly contemplated suicide. Then one night in late fall of 2001, while sitting alone in my apartment, I started flipping through channels and stopped on a bald man with a calming presence, wry wit, and warm, gravelly, voice. His name was Dr. Wayne Dyer, the PBS special was There’s a Spiritual Solution to Every Problem, and I found myself drawn to what he was saying. Dyer’s pithy, anecdotal, personal empowerment spirituality resonated and stuck with me long after the special ended, and by the next evening I was reading his book, The Power of intention. Within a few days signature quotes such as “You’ve got to believe it to see it” and “You are a spiritual being having a human experience” started to take up permanent residence in my brain and I was feeling a bit better. One quote, “Don’t die with your music still in you,” held special significance for me. My degree had been in Music Composition, and my father and I had spent many hours composing together in our basement. When he died the music in my head had gone silent as if it died with him, but I knew instinctively, defiantly, that that wasn’t the case. In my grief I couldn’t access it; my guilt over “killing” him, and my need for his approval had turned my creative volume setting to mute. But I knew it was there, knew that Dr. Dyer’s warning mantra was applicable to my life, and knew that I would have to start slowly if I was to ever rekindle the creative flame inside myself. As a musician I had often been both composer and lyricist. I prided myself on my ability to put words cleverly together. But I would have to start again slowly, with small projects that allowed for a big sense of accomplishment. So, on November 18, a few weeks after watching the special, I sat at a desk over lunch in the center of a crowded school hallway – a reluctant and bored hall monitor – and wrote my first haiku in twenty years. But wait! Life is perception. I struggled to write four haiku that day, but the next day I wrote more, and more after that. By January 20, 2002 I had written a hundred little poems, and realized I was starting to feel a bit better. I still wasn’t composing, but my creative juices were flowing, and I was amassing a large body of poetry that I could be proud of. At the time I didn’t realize the full impact that writing haiku was having on my life, or how much I had almost obsessively fallen in love with distilling my daily thoughts down to a 5-7-5 syllabic format. I didn’t realize fully the therapeutic benefit, that by putting my thoughts simply and creatively on paper and “out there” I was releasing the pent up depression, guilt, and grief that had built up inside me over the last year and a half. I just knew I was being creative and felt better, and when something makes you feel good you keep doing it, don’t you? Sixteen years after my father’s death, practically no week has gone by that I haven’t written at least one haiku. As of this writing, I’ve composed over 4,600 of the little buggers, self-published two books of poetry, plus a third children’s book. My music took years to return to me, but when it finally did it blew in with a vengeance, and I now compose fairly regularly, along with trying to maintain my blog, of course. Everyone’s pathway to healing is unique, and for all I know had circumstances been different, perhaps something else would have come along to intervene, lift me up, and rehabilitate my spirit. Then again, perhaps nothing would have changed, and in my grief I may have commit suicide. But thankfully, THANKFULLY, that wasn’t to be my fate, and I ran across Dr. Dyer and his life philosophy when my spirit needed him the most. And that led me to fight for my life, a little bit at a time, with seventeen syllables in a crowded hallway, and with props to Frost, “that has made all the difference” for me. So, in case you ever had any doubts that poetry has magical properties or lasting value, I’m here to tell you that I’m living proof that poetry can change or even save a life. And that is the true healing power of haiku. If you would like to contribute with your guest post visit this link for further information. And, if you are interested in getting more inspiration for your creativity,sign up for our free monthly newsletter. 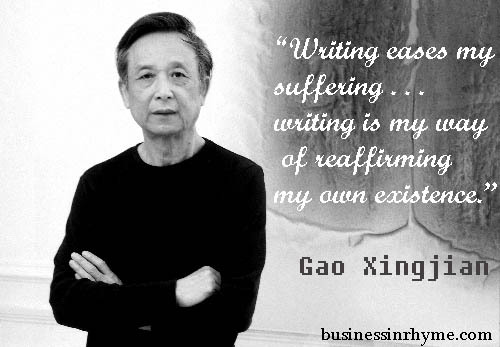 The only way to explain why I write is to explore the time in my life when I did not and could not. The only way to explain my creativity, my inspiration is to return to the point where I was devoid of either. I have discovered several things that are necessary for me to be able to produce creatively: self awareness, self acceptance, and self satisfaction. These things had been lost to me a few months after the premature birth of my son. I would like to say they were violently stolen, but the correct phrase would really be freely given. At every stage of my pregnancy, of my birthing process, and of my early stages of motherhood, I was criticized, doubted, questioned, ridiculed, ostracized and ignored; I internalized it. I was ignored when I told the doctor my son is large for a 31 weeker, she denied that possibility and proceeded to make an incision he would later become stuck and nearly die in. I was ridiculed when I did not want to vaccinate my son before taking him home from the NICU because I had read the drug insert for the hepatitis B vaccine, which (if I can let you in on a secret) doctors never do. I was ostracized from the pediatric medical field because I did not want to add additional risk for my son who had not even reached his due date by the time he was released from the hospital (born at 31 weeks gestation, released at 34). I was questioned when, two weeks after finally giving into the vaccine because we would go without a pediatrician otherwise, my sons vaccine injected leg was inexplicably broken. Horrified, fearful of this unknown source of attack and constant threat of misfortune, my fear was magnified by the blame that I had caused the break by abuse. Abuse that not only did not occur, but did not even reveal itself upon medical examination of my son. I gave my voice away and I pimped my convictions for the sake of being accepted but when I searched out a deeper level of satisfaction, awareness, and acceptance of myself, I found that not only was I liberated, but I was free to flow creatively once again. In my poetry, I express my liberty. My voice is no longer silenced and most importantly, I am unapologetic about it. I apologized for not fitting into the mold that society laid out for me. if not you place limits on my creativity, chains to maintain the course of my liberty. offended your sensibilities and the fragility of your insecurities. You gave me the label of opinionated, a scarlet letter in our society. “Quiet your noise”, you said, “because opinions are unbecoming”. “Just fall in line with the status quo”. because the truth made you uncomfortable. So excuse me if I don’t offer you an apology. Pardon me, I’m just no longer sorry. If you would like to contribute with your guest post visit this link for further information. And, if you are interested in getting more inspiration for your creativity, sign up for our free bimonthly newsletter. Many of us, engaged in reading and writing are aware of transformative power of poetry, healing power and artistic value it brings to our lives. But how far does that really goes? Can you be saved by a poem? In the aha! moment that occurs when the mind bursts open—at a breathtaking metaphor or an insight or a chiming among the words—all levels of being human come into alignment. You feel a sudden integration of body, mind, heart and soul. The fragmentation that many experience in the multitasking onrush of modern life cannot withstand a good poem. In the midst of a suicidal depression, poetry poured back into my life, touching me in a way no spiritual or psychological teaching had been able to—literally saving me. The healing did not come through writing poems or even through reading them. 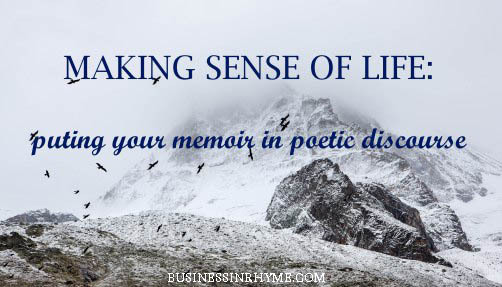 It came when I discovered that taking a poem I loved deeply into my life and speaking it aloud caused a profound integration of every aspect of me—physical, emotional, mental and spiritual. I felt a wholeness I had never before experienced. Further, she proposes we find a poem that really speaks to us and learn it by heart: read it loud as often as we can until it engraves somewhere deep in our soul and help flourish some better and more supportive thoughts. It can help you establish better relationship with yourself and explore sides of your being you didn’t even knew existed before. That’s what poetry does. But what about writing your own poetry? stress, anxiety and depression, improves motivation and aids people in securing new jobs. What are your reasons for having poetry in your life? 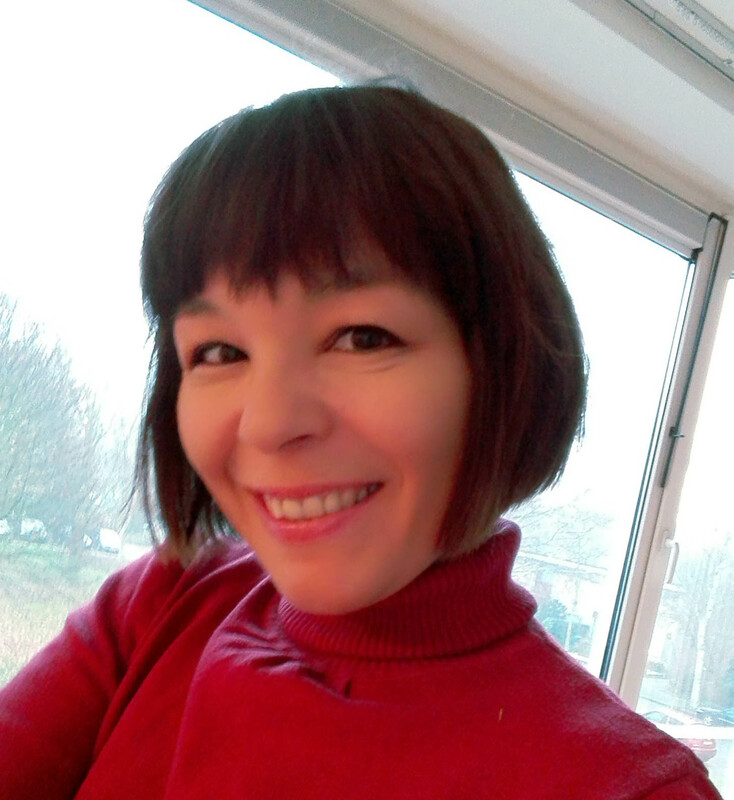 December 10, 2015 by Maja Todorovic, posted in Business in Rhyme, Read, write, lead! We can find many connections between poetry and its transformative influence on human lives – especially its healing power. Going back as far as mythology takes us, it is very well known fact that the Greek God Apollo, the son of Zeus and Titan Leto, was the God of music, poetry but also the God of healing, transferring the knowledge of medicine to humans and the God of truth. In Chinese language, for instance the word poem is comprised of two characters – one meaning word, the other meaning temple. So poem is something that is sacred, the ultimate truth. In many indigenous cultures, illness is viewed as a state in which an individual is distancing himself from his true nature – both physically and emotionally. If we observe a healing as a process coming back to harmony, to wholeness, poetry can be seen as a healing tool, with a restorative component. Traditional worship practices in many tribal structures are gatherings, accompanied with dance, rhythm, songs and trance. Sacred narratives and beliefs are deeply based in Nature and are rich with the symbolism of seasons, weather, plants, animals, earth, water, sky and fire. 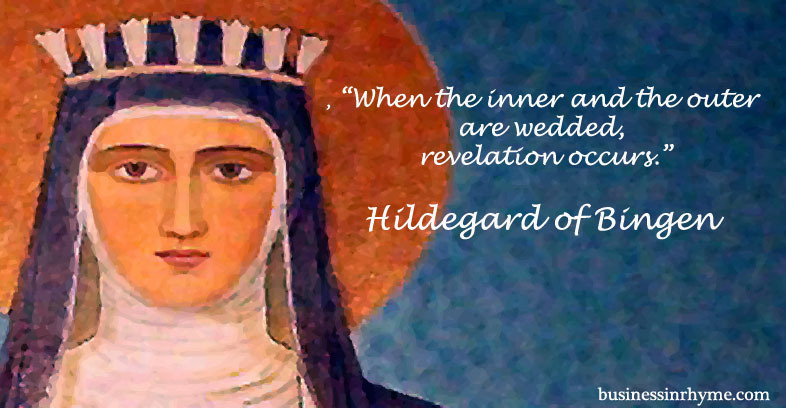 The mode of prayer, a poetic narrative is seen as coming back to Nature, reinforcing the feelings of love and acceptance. Today, poetry is accepted as a proven healing method and there are many associations that train and accredit poetry therapists. In particular, the American Poetry Therapy Association has approach that they use a set of poems that their patients discuss and then those poems become a model — even a template — for individuals to write their own poems. The process helps people get their feelings out and into words. Generally, I don’t worry about the form the writing takes at the outset. I will help someone find the poem within the words they first write. Whatever the methodology, yes, poetry, and story writing, can be a healthy outlet. The results of poetry therapy, if not forced into any specific form, can also trigger marvelously original creations. No matter which poetry you prefer: spiritual words by Rumi, mythological expression of W. B. Yeats or modern linguistic experimentation of E. E. Cummings, words can pave a path to your own wisdom; help you find that missing puzzle inside that you need to feel whole again and hear your wakeup call for inspired action in the world.